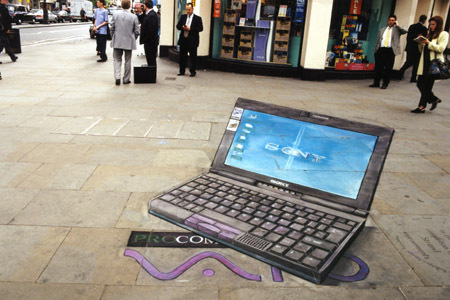 Julian Beever is an English artist who has been creating 3D chalk drawings on pavements since the mid-1990s. 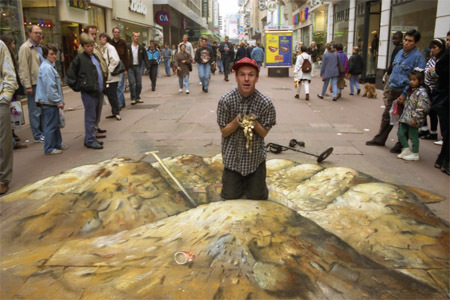 He makes his art using a projection technique called anamorphosis. 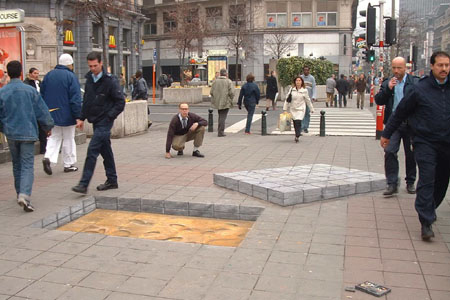 When viewed from a particular angle, this technique creates the illusion of 3D. According to the author, the “secret is to set up a camera on a tripod and keep it in one spot and check every mark you make. It’s really just playing with perspective to make it appear different to what it really is. 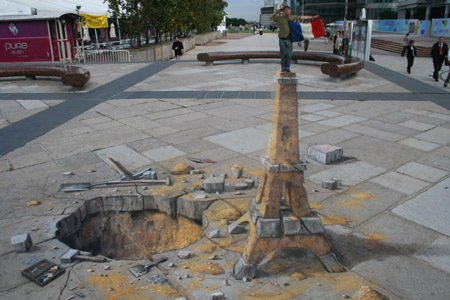 It’s difficult to see that those are just chalk drawings.. :D amazing! _ It might mess them up. _ I’d be afraid to fall in. 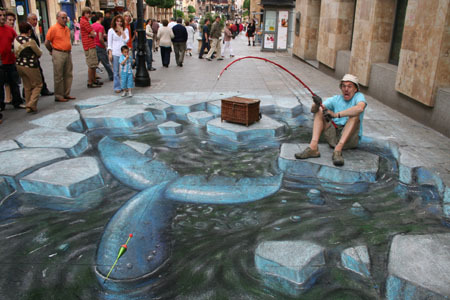 this is sooooooo cool where do u get the chalk from? and maybe u should come to nc to show some people! i have seen this guy make in of these in person!!!!!!! it was amazing!!!!!!!!! How do they look from a different angle. Do they still look 3-d or what? I’m not knockin it at all…it’s amazing just curious if it still looks cool from another angle???? 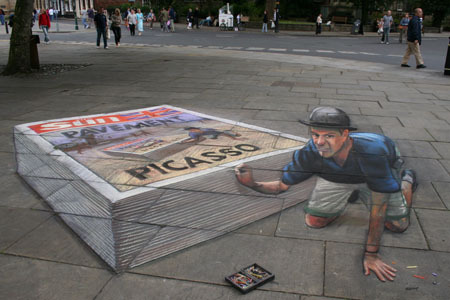 it amazing how some people can do stuff like this. they have a real talent!! 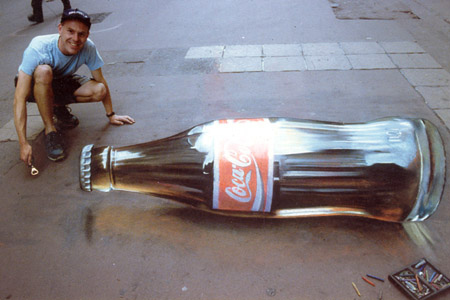 i want 2 learn how 2 make draw them THAT GOOD!!!!! Where is this guy located? I mean, I would LOVE to take my family there on a vacation just to check it out but have NO IDEA how to find him or his work. Do he put a protective coat on his work so that it lasts or does the weather wash it away??? This man is blessed with such a beautiful talent. WOW! THAT’S SOME CRAZY STUFF!! 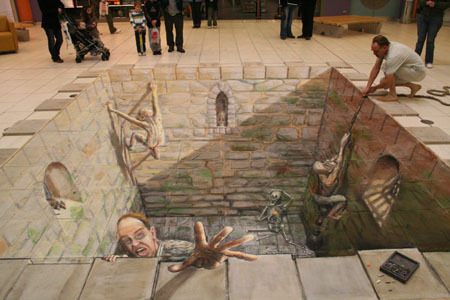 i would be so scared that i would fall in or something! i would love to see them in person but i would be scared to go near it! This is so awesome!!! Luvvv da laptop 1!!! 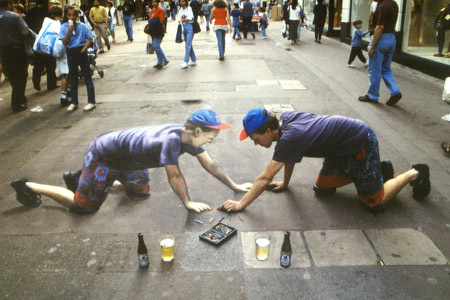 So cool.. .. That so nice.. How they do this? totally awesome…i have never seen anything like that in my life..such a wonderful gift for the viewer and the artist….im so jealous dude…….please continue to bless people with your artwork dude…. Splash and dribble merchants who have almost emasculated real art,eat your hearts out. This is what the craft is all about.Julian is an inspiration to all genuine artists. I wish him a long life. thats so ridiculous! truly my inspiration! That is extraordinary!!! 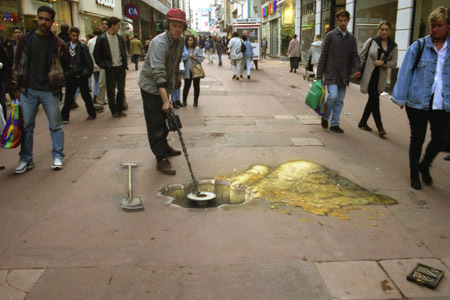 !It looked so real like no lie I was amazed!My fav one was the picture where it looked like he was picking up gold from the ground in front of him!! !WAY COOOOL!!!! my English teacher showed us these in class… absolutely amazing! how to do it?? i wanna learn!!!!!!!!!!!!!!!!!!! how the frick do you do that !!!!?? ?